Marinox® A-Z Multivitamin + Green Tea Extract tablets are suitable for women and men. 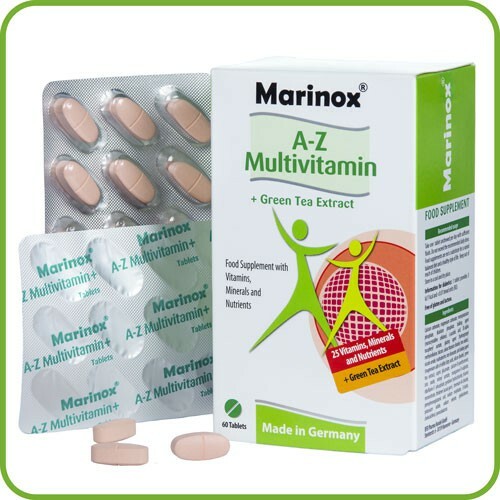 They contain a well-balanced and carefully selected combination of vitamins, minerals, trace elements which is completed by green tea extract, with a standardized content of 50% polyphenols, which are one of the main actives in green tea. The vitamins A, B6, C, D3 and folic acid in combination with the trace elements copper, selenium, zinc and iron contribute to the normal function of the immune system. The vitamins B1, B2, B6, B12, C, biotin and niacin together with iodine, copper and magnesium contribute to normal functioning of the nervous system. 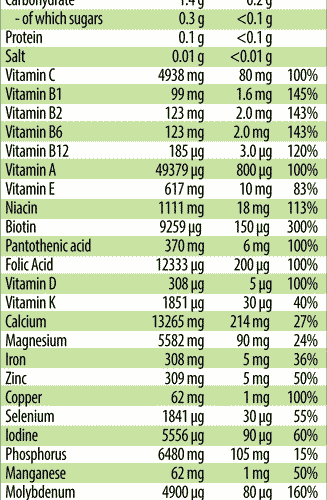 Pantothenic acid contributes to normal mental performance and energy metabolism. 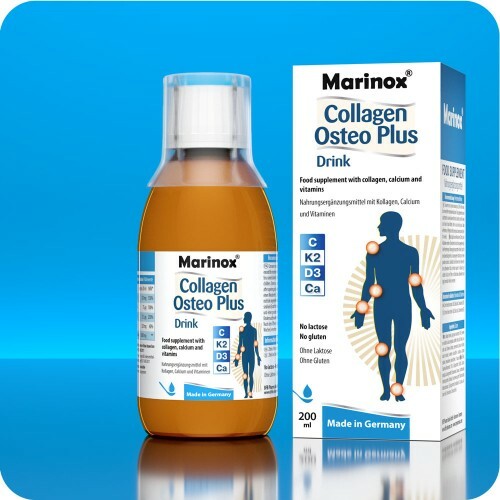 Calcium and magnesium contribute to normal muscle function and calcium is needed for the maintenance of normal bones. 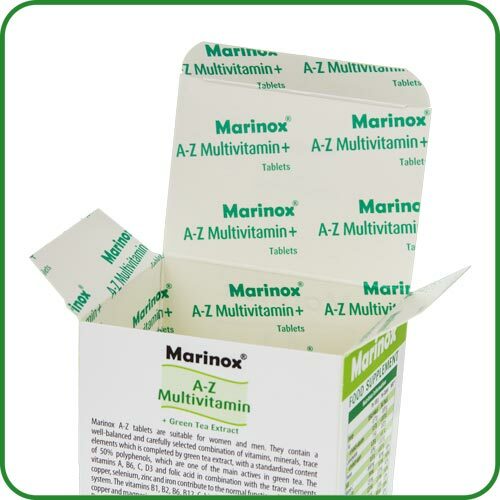 The vitamins B2, B6, B12, C, niacin, folic acid and pantothenic acid together with iron and magnesium contribute to the reduction of tiredness and fatigue. avin-5´-phosphate, pyridoxin hydrochloride, thiamin mononitrate, thickener (acacia gum), chromium-III-chloride, pteroylmonoglutamic acid, sodium molybdate, D-biotin, potassium iodide, sodium selenite, phyllochinone, cholecalciferol, cyanocobalamin. 1 tablet provides 3kJ/1 kcal and <0.01 bread units (BU). Free of gluten and lactose.